All eyes in the business community will be on Energy Minister Josh Frydenberg and his state and territory counterparts this Friday. How much longer are they prepared to let the energy crisis hold household budgets to ransom and bludgeon Australian businesses? The COAG Energy Council needs to decide: will they take action to lower energy costs or not? And it really is up to them, because they are the ones at the steering wheel. Years of uncertainty, a result of a mish-mash of ideologically driven policies by different governments in different parts of the country, have helped drive down generation capacity and drive up electricity costs. Yet uncertainty isn’t the only, or even the main factor, driving prices higher. The ACCC has highlighted the significant role network costs have played – and the network operators are largely regulated monopolies. Similarly, both the Grattan Institute and Victorian Government have in highlighted the important role that retail costs have played. The reality is that there are problems at all levels – generation capacity, networks and retail markets. If governments across the country are sincere in wanting lower energy costs, and they should be if we don’t want to force business to shrink, close or relocate overseas, then all these issues need to be addressed as part of an integrated national energy policy. Our members, who represent businesses of all sizes in every sector and in every state and territory, are telling me that we are running out of time. The ACCC estimates that network costs themselves accounted around half of the increase in electricity prices in 2015-16. State and territory governments bear a lot of the blame. The reliability and safety standards that they require create higher compliance costs for network operators, who then pass these costs on. Safety and reliability are very important, but several reviews have found that these standards have, in some cases, been needlessly high, and led to overinvestment and higher electricity prices for consumers. The energy ministers need to think carefully as they flesh out the detail of the National Energy Guarantee (NEG). They can’t allow reliability standards to be baked into the NEG that will push costs higher, within a framework where the network operators are guaranteed a rate of return on their assets. That’s a risk we face, whether it’s further overinvestment in poles and wires or dispatchable generation capacity. 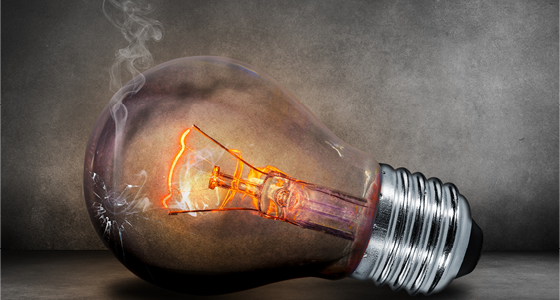 To avoid an energy sector Groundhog Day, COAG should introduce, alongside the NEG, policies that tackle other factors pushing energy costs higher. COAG should explore ways to reduce the high level of market concentration in the wholesale and retail markets. We need to reduce the high level of market concentration in the wholesale market. The big three generators supply about 70% of retail customers across the NEM. The electricity market would benefit from more competition, something that might, in-turn, help deal with over-capitalisation in network infrastructure. Asset write-downs should be on the table for the electricity market. The problem of excessive network costs, in a heavily regulated market, could be solved in part this way. The ACCC has called for a similar policy with the National Broadband Network (NBN). If other policies don’t deliver significant short-term cost reductions, then this option could be exercised. It’s high time that state and territory governments changed the Stop sign to Go on the gas resources they hold. It makes no sense to lock up the landscape when increased gas supply could help drive costs to consumers down. As well as welcoming business to explore and develop gas, with project specific environmental approvals, other restrictions that impede the development and supply of gas resources should be reviewed and where possible removed. That includes giving serious thought about how best to encourage landowners to facilitate access for exploration and development to the resources owned by the community (the Crown) underneath their land. The NEG could well be a very important part of the solution, but energy ministers meeting this week must look beyond the NEG, because the NEG by itself won’t be enough to reduce energy costs for business and households in the short-term. We encourage Josh Frydenberg to work with his state and territory colleagues to deliver an outcome beyond the lowest common denominator this Friday. We hope these ideas will help.